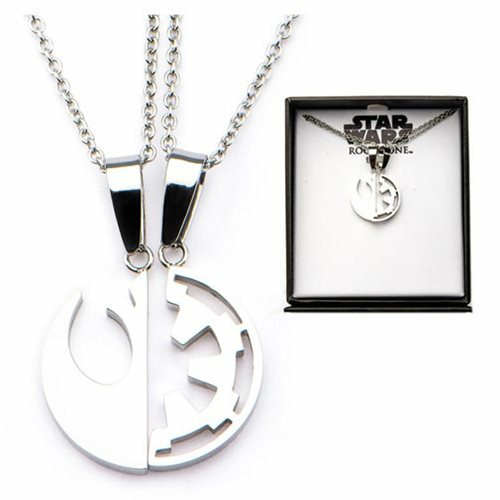 This beautiful Star Wars Rogue One Rebel Alliance and Galactic Empire Symbol Cut Out Stainless Steel Best Friend Necklace Set includes two necklaces based on the 2016 Rogue One: A Star Wars Story movie. One features the symbol of the Rebellion, and the other boasts the Galactic Empire's symbol. Both include an 18-inch long chain, and they come packaged together in a gift box that's also ideal for display.